In 2012, Wunderman Athens advertising company, has come up with an incredible idea for an online game for Libero diapers brand. The overall design and the development of the application for the game were assigned to intros.gr. The game was available in both the website of the company as well as the Facebook company page. This incredible game was targeting the anxious patents to be!! They could create a photo of their baby. 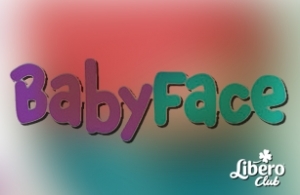 The only thing that they had to do was to upload a photo of mammy and daddy, and then, following the instructions, they could see in a photo, how their baby would look like, according to the Babyface application. They could use this photo as a wall paper on their screen, or they save it and print it. The main idea of such promotional campaigns remains, to increase publicity and spreadability of the website and of the fan page in Facebook, even if they are targeting to a specific group, in this case the pregnant women. In intros.gr, we believe that neither the desing and development, nor the cost of facebook applications like this one, should be obstacle in the growth of any company. We have the knowledge, the experience and the technology to implement any idea, no matter how complex might be. We provide our customers with the most attractive and effective solutions. Do not hesitate to contact us, in order to help you make your idea come true!